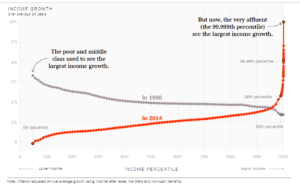 The New York Times published a chart this week that perfectly summarizes how the United States has gone from the having the healthiest middle class in the world to a land of increasing economic inequality that shuts off far too many families from the American Dream. 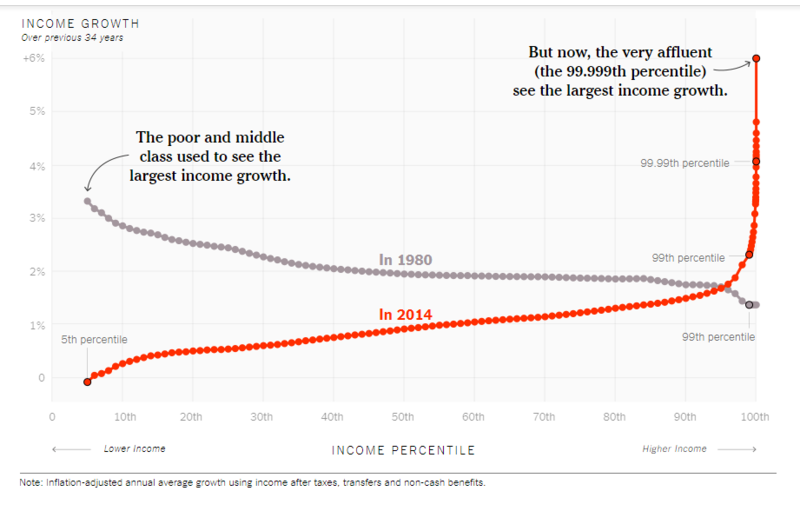 While instructive, this chart leaves one very important question unanswered. Why? When you dig a little deeper into the data, there’s one striking fact that simply can’t be ignored. The decline of union membership tracks perfectly with the rise of inequality. In 1979, roughly 25% of all workers in the US were members of unions. For those workers, that meant regular raises, decent benefits like health care and retirement security and workplace safety protections on the job. But even if you didn’t belong to a union, you indirectly benefitted from high union density. Strong unions drove wages in non-union industries upward, CEO-to-worker pay ratios were much lower than they are today and there was a powerful counterbalance to corporate greed. But in the ensuing years, corporate special interests, backed by politicians they bankroll, engaged in an all-out assault on unions. As union membership declined, the wages that used to go into workers’ pockets instead went straight to the bank accounts of corporate CEOs and well-heeled executives. Today, just 1 in 10 workers belongs to a union. And with current attacks through the courts and the Trump Administration on working people’s freedom to stand together in unions, that number could dip even lower in coming years. The bottom line is this: There’s only one way out of this abyss. It’s giving working people the opportunity to stand together to negotiate with their bosses for fair wages, good benefits and a better life. All other solutions to inequality are just nibbling around the edges of the problem. Without strong unions, inequality and its disastrous consequences for our future won’t ever go away. Time to give workers back some of the power they’ve lost. Time for the America to become #UnionStrong once again.